I was also looking forward to actually knowing how to take photos this trip! My last visit to Disneyland in California I’d just purchased my very first DSLR and blamed the camera when it didn’t produce the images I expected. My poor, wonderful first DSLR! It wasn’t that little camera’s fault. 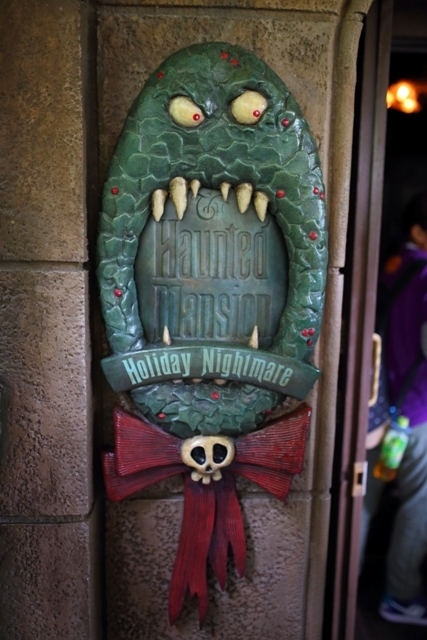 The Haunted Mansion is one of the hardest attractions anywhere to photograph regardless of what camera you have. Below you can see the mansion the night before it opened. (The calm before the storm) I was one of many people standing around taking photos during this lovely night. The next morning, bright and early, we were ready for battle and ran straight to visit Jack. Below is the sign that you walk under to enter the attraction. The photos used here are a collection of my four rides during my trip. One of which we waited 40 minutes! That’s the longest line we stood in the entire trip.. and it was worth it! In the queue line there are lots of detail added that I assume aren’t there they rest of the year. Where as I felt the California version had lots of playful details from the movie, the Tokyo version seemed a little more dark. 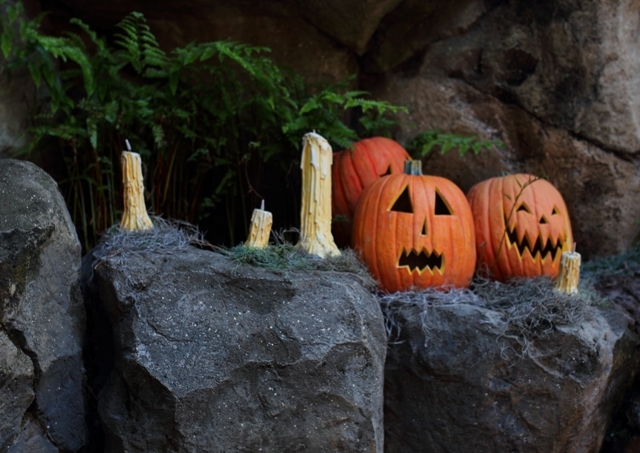 Candles and pumpkins were the main decor with the candles lighting up at night for a pretty creepy scene. Below is a look at the fastpasses for this attraction. 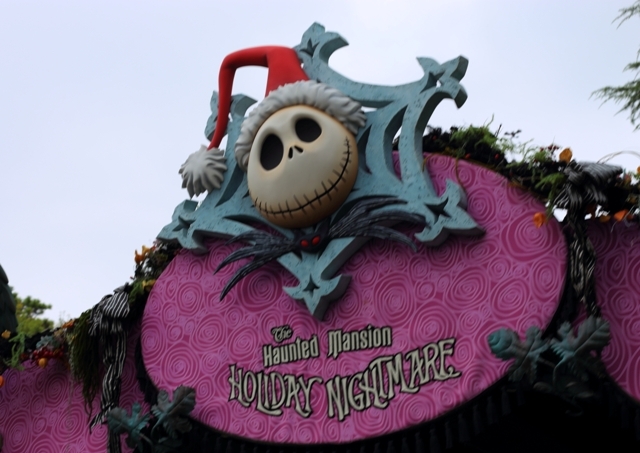 I have a tradition of bringing home a set of unused fastpasses for Haunted Mansion Holiday every time I visit. It was hard, but I managed to resist using some to bring home. Also, fastpasses do not work like here in the states. It seemed like using one only allowed you to skip half the line. 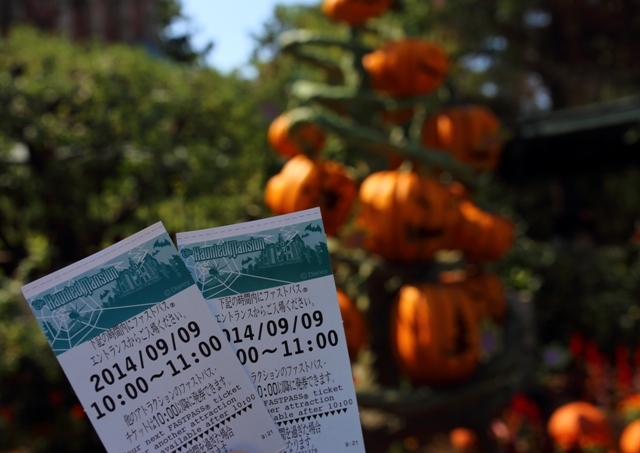 Be aware if you have a dining reservation or other obligation that you’ll need more time to cash in a Tokyo fastpass. When you enter the mansion it becomes clear just how much the Tokyo version resembles the Haunted Mansion here in Florida. 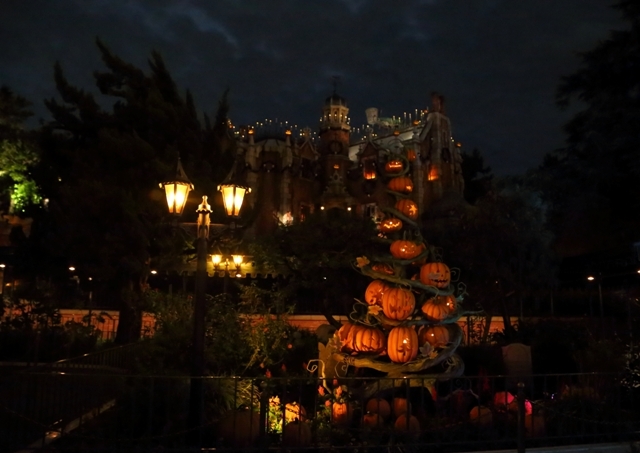 I’d heard that the overlay used in Tokyo was originally designed for our Haunted Mansion, but it was determined that they couldn’t afford to close ours for 6+ weeks a year adding and removing it. Where as Tokyo and California get mostly local business, people travel from all over the world to visit Orlando so it’s unfair to them to have such a prominent attraction closed annually. The Tokyo version still uses the original roof design in the stretching room. 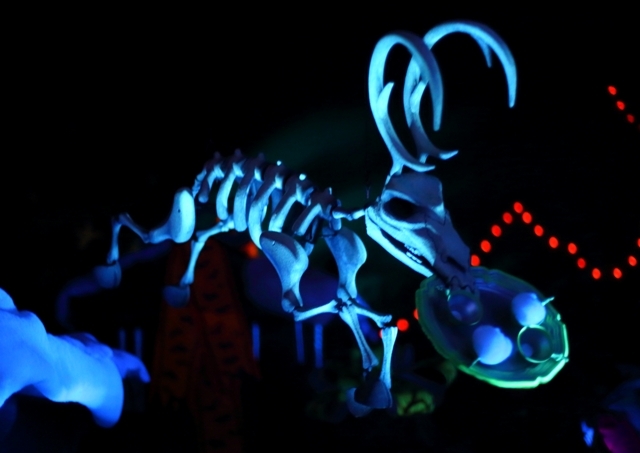 Starting in 2013, Disneyland switched to a projection mapping effect. While it looks amazing I’m really a fan of the original. I was so happy to see that Tokyo hadn’t make the change. Am I the only one that thinks projection mapping is getting a bit overused? 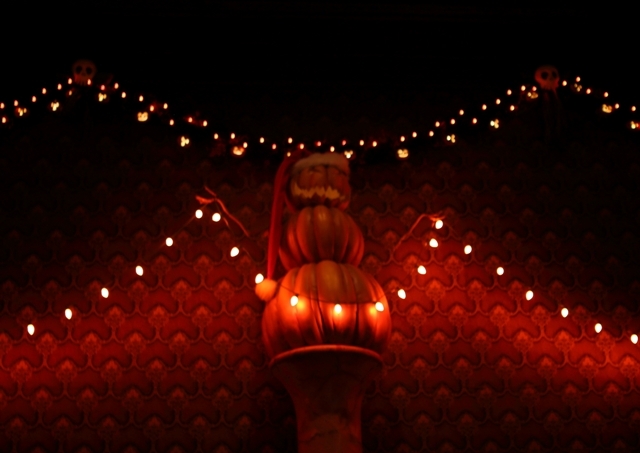 Just before you board your doom buggy, if you look up you’ll see pumpkin snowmen holding up the lights inside the room. While this is adorable, the display in California is huge and impressive. However, it shows how the Tokyo mansion is much more like our Walt Disney World version since there is no room for this display. But I was distracted at this point because I could hear Jack calling from the next room! This is where the Tokyo version won my heart. 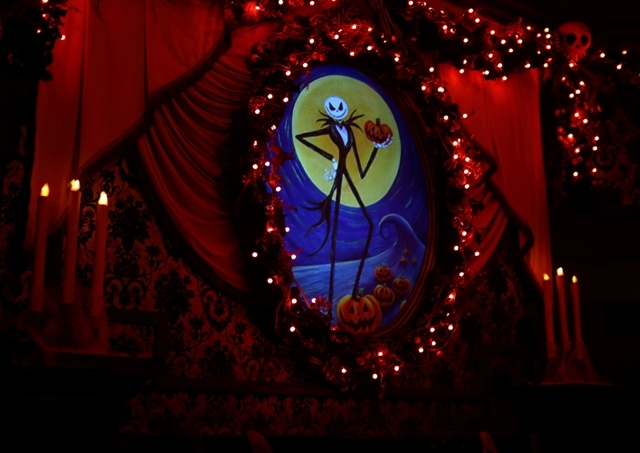 In the very first room you get to see Jack and Sally! The figures are big and really well made. No cheap cardboard cutouts here! The motion was incredibly fluid on the figures. 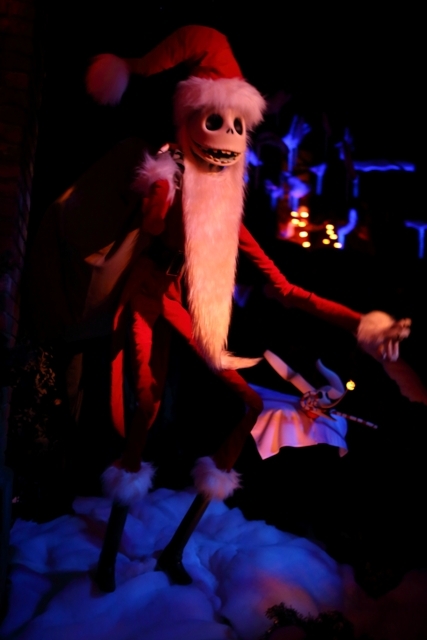 All animatronics in Tokyo seemed to work much better than the ones here in the states. 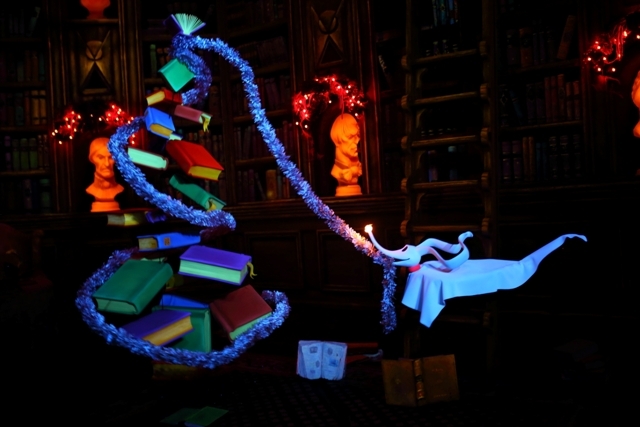 In the library Zero was putting together a book filled Christmas tree. This is another feature that isn’t included in the California version. 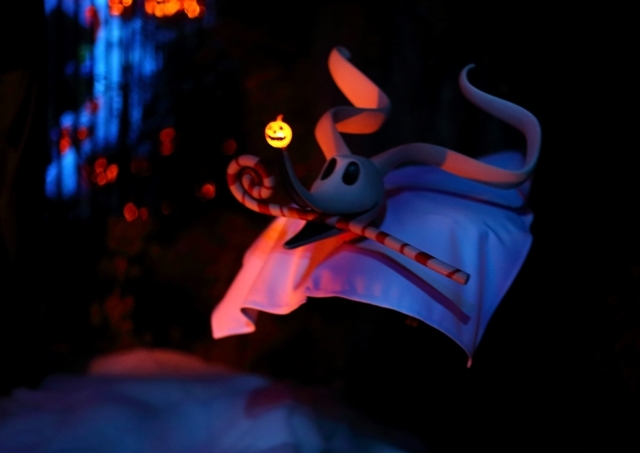 The characters are featured much more in the Tokyo version of this attraction. That is especially true for Sally who is barely seen in California. 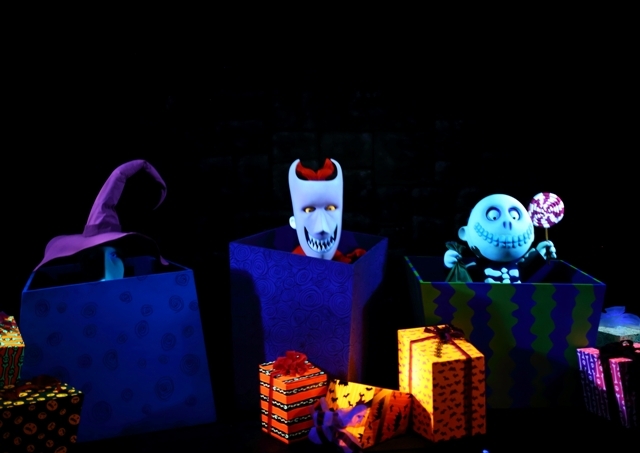 The first time I watched a YouTube video of this ride I let out a squeal when I saw a full size Sally! She was so pretty. I think I took more photos of her than anything else in the ride! 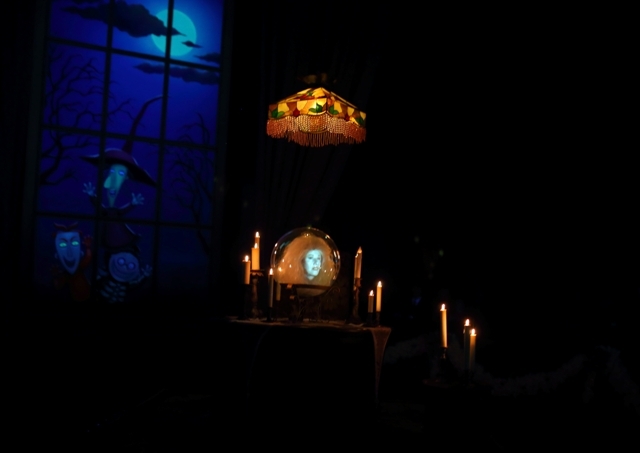 One scene where California is the winner would be the seance room. In the that version large ornaments and lights are strung all over the room. As soon as we entered this area in Tokyo I was struck by how sparse it looked. 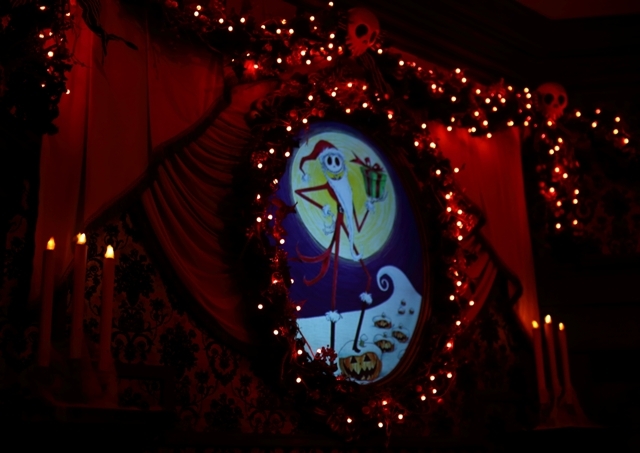 I did love that Lock, Shock, and Barrel window, though! Entering the ballroom, I noticed many similarities between California and Tokyo, but a few minor differences. 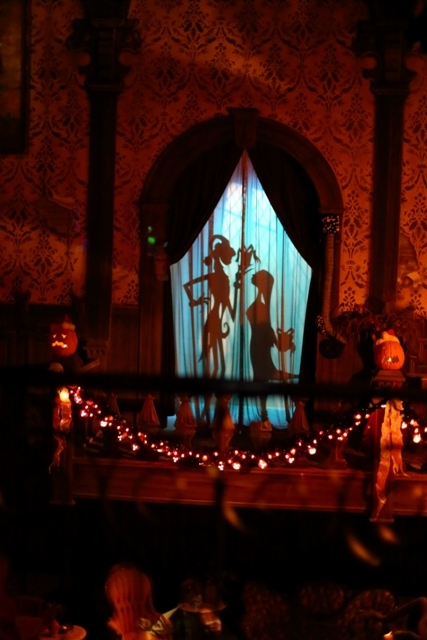 One was this silhouette of Jack and Sally exchanging gifts. 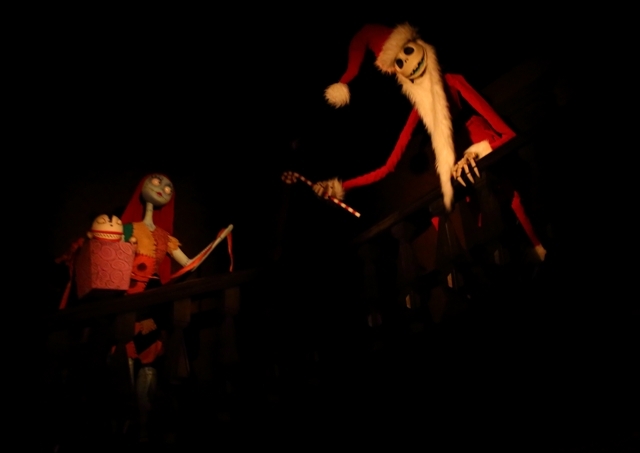 I also asked around about the gingerbread house but it seems here it’s just a prop that is used each year. In California a real gingerbread house is used and the design in unveiled each year with great anticipation! 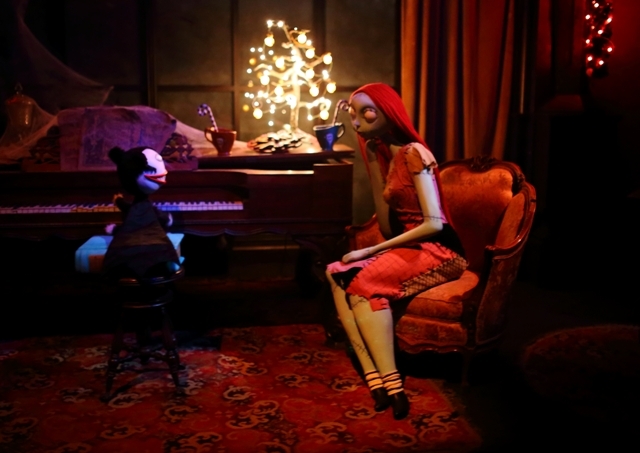 The attic scenes were also very similar. In California a small monkey plush dressed as a bride is hidden each year in this scene so it was hard not to be looking for her! Rolling into the graveyard it was time for my favorite party of the ride, seeing Jack dressed as Sandy Claws! Wow, he was amazing! The figure was huge and moved so fluidly. Why can’t we have this overlay in Orlando again? Just beside him is his trusty dog, Zero. I couldn’t get over how nice everything was for this seasonal overlay. The quality was just unbelievable! 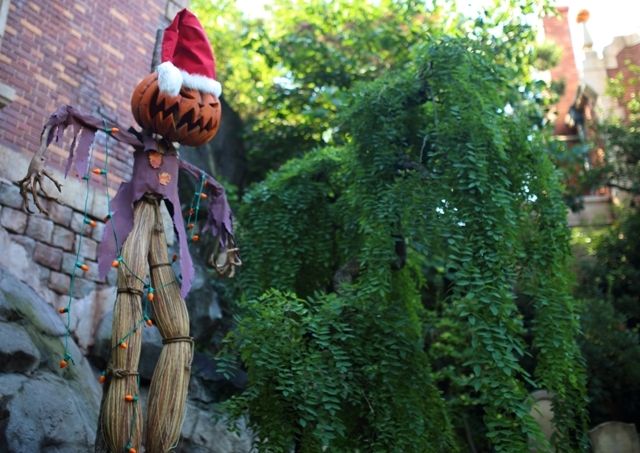 The graveyard was mostly the same with orange lights strung everywhere, singing pumpkins, and large pumpkin angels. However, there were a few differences I noticed. For one, check out these reindeer! Maybe there were in the California version somewhere but it was so much darker that I would have never seen them. The graveyard was very bright with everything on display in Tokyo. The last scene of the ride does go to California for the win. 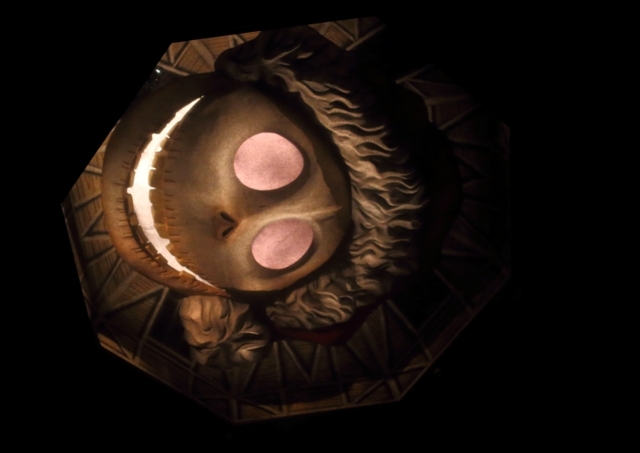 Where in that version you pass by Oogie Boogie spinning his wheel and you might just win a “prize” while passing the mirrors, all that is removed in the Tokyo version. You pass by Lock, Shock, and Barrel popping out of boxes to end the ride. However, this was the first time I’d ever seen a full size Lock, Shock, and Barrel – so that’s worth some points! !